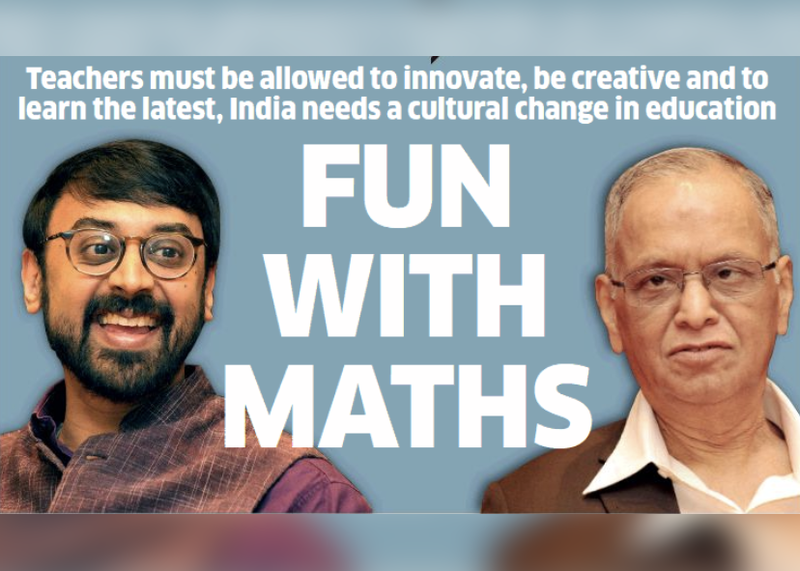 20th January 2019 morning saw our young minds emerge as new age thinkers and spread their wings to solve the problems of the world. 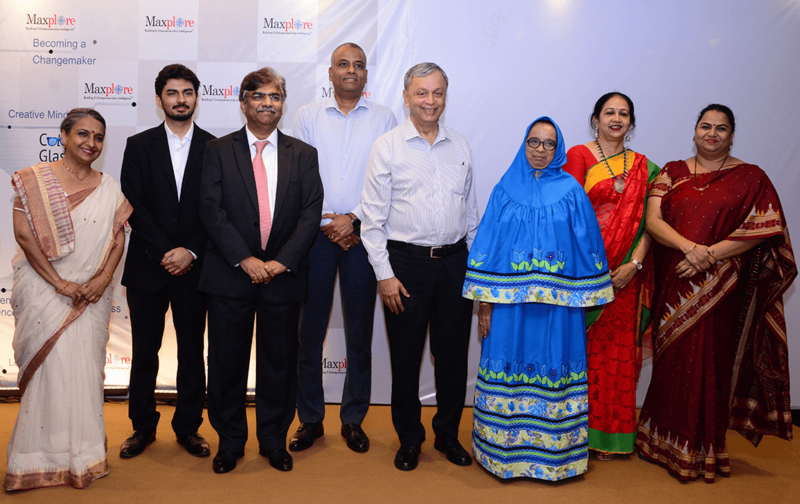 It was the finale of E-Cell IIT-B & Maxplore’s Eureka Junior’18 Business Competition. Out of the many entries received, 8 teams were shortlisted and called to present their business ideas at the IIT-B campus for the grand finale. The parents of the participants were proud to see their children think constructively and provide business solutions to the problems. They were awe-struck to see their children think quickly and confidently answer series of questions raised by the panel of judges. 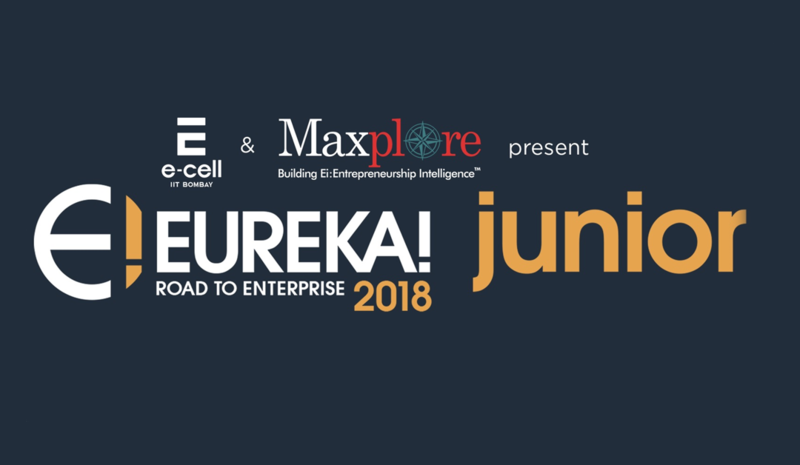 As you must be aware, Maxplore conducted Entrepreneurship Intelligenceᵀᴹ workshop in your child’s school to prepare them for Eureka Junior’18 competition. The workshops were directed to make students aware of their “Ei – Entrepreneurship Intelligenceᵀᴹ” and motivate them to utilize this intelligence to become independent thinkers and innovators. It gives us an immense sense of satisfaction to see that our just 2-hour interaction ignited Entrepreneurial thinking in students. 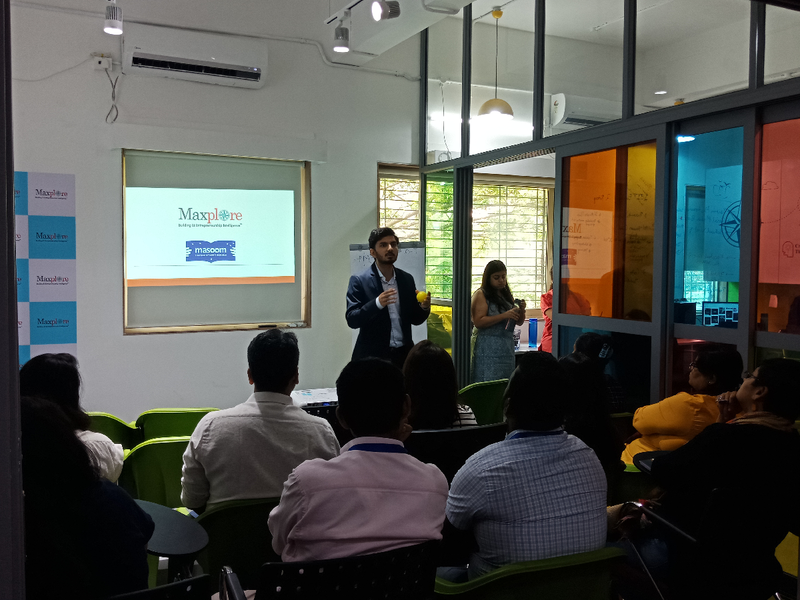 We are confident that our intensive sessions of Maxplore Club will develop an all-round entrepreneur ready to take up any challenges in life and evolve as a winner. Entrepreneurship is recognized as an important skill not just for starting the business but a skill to excel in current endeavours and face the future uncertainties. However, many schools fail to give this subject its due importance because of the other academic pressure. In order to take the stress away from the school and at the same time develop Entrepreneurship in our young minds, Maxplore has started Maxplore Club – An in-school club to develop Eiᵀᴹ. 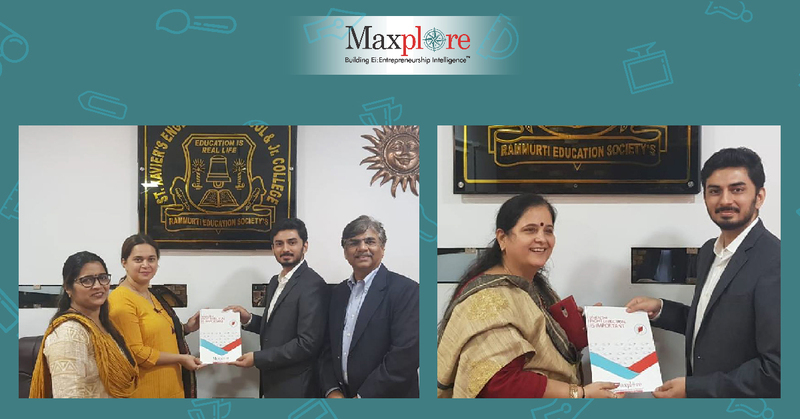 We are proud to announce that Maxplore Club is India’s first integrated club to build Ei-Entrepreneurship Intelligenceᵀᴹ at schools. To give you a brief overview about Ei- Entrepreneurship Intelligenceᵀᴹ; it is a mindset that enables you to creatively problem solve, capitalize on the opportunities, take weighted decisions, have resilience and not fear failure. 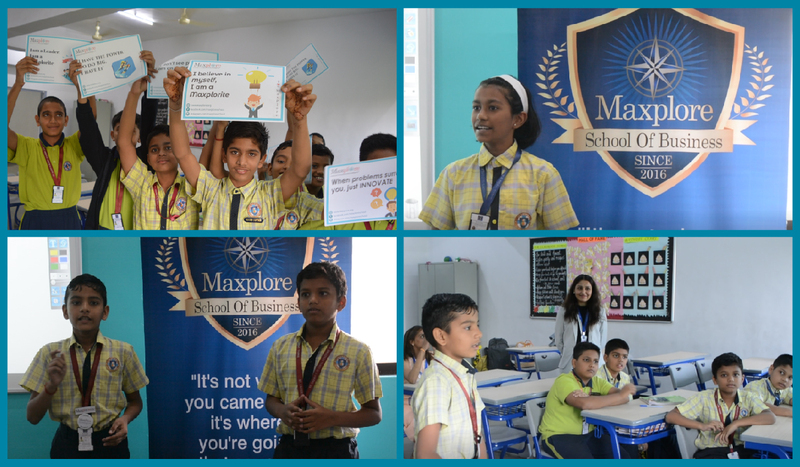 All the sessions of the Maxplore Club are designed to make the subject hands-on, interactive and relatable so that the interest of the students remain sparked and the subject remains relevant. For more information about Maxplore or for setting up Maxplore Club in your child’s school, you can Contact Us or can communicate with the school coordinator regarding your interest in setting up the Maxplore Club in school. We are happy to share the pictures of the winners of the Eureka Junior’18 finale. We are sure, this will make your heart swell with pride as you see your child or your child’s friend step in the real world determined to lead it.